Remember Exploding Kittens, the card game which has raised over US$8.7 million – that’s about a whopping RM37 million – through Kickstarter? Well, you can now play it on your iOS device, and it’s pretty affordable as well. The goal of Exploding Kittens is to be the last person standing by the end of the game. If a player draws one of the – aptly named – Exploding Kittens, he or she is out of the game. Pretty simple, right? There are also other cards to assist players in the game, such as peeking at cards before drawing, forcing opponents to draw multiple cards, or stealing cards from other players. #BOOM! Our writer’s set of #ExplodingKittens has arrived! Anyone else backed this neat little #Kickstarter campaign? One of our writers – yours truly – actually backed the project when it was still funding on Kickstarter, and we had quite a blast playing the game. Trust us: this is a very fun party game, and now that it’s an app, you don’t have to get the rather pricey physical copy of the game to get in on the fun. That being said, the Exploding Kittens team was quick to point out that this game is still a work in progress, and more contents – such as the Nope cards – will be added to the game over time. 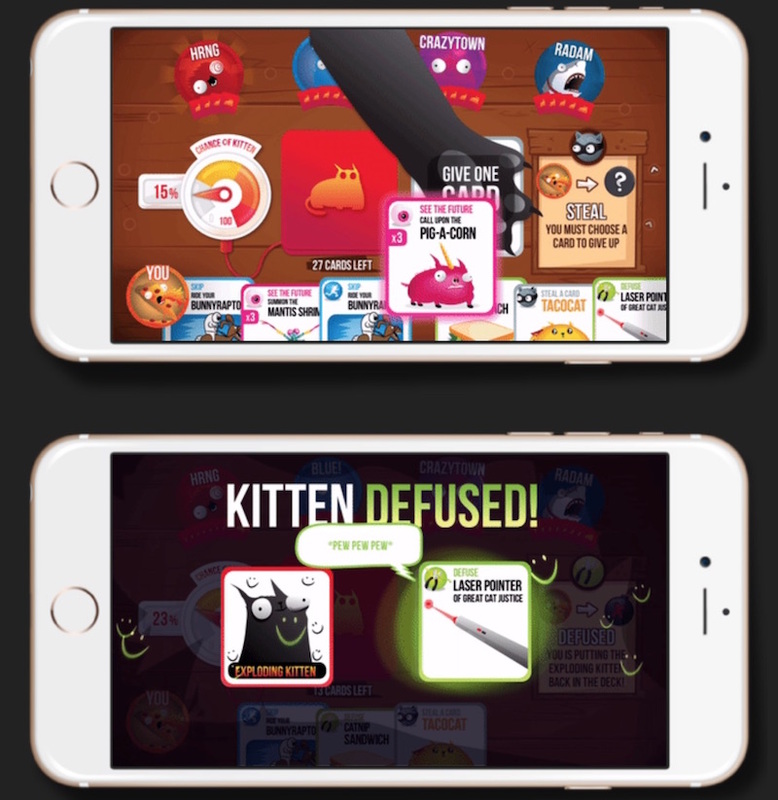 For now, Exploding Kittens is only available on iOS devices, although an Android version is in the works. If you want to give the game a try, you can purchase it on the Apple App Store for US$1.99 (about RM8), and for the next four days, all in-app purchases will be given for free.